A set of two neutral abstract prints that are accented with geometric rings. 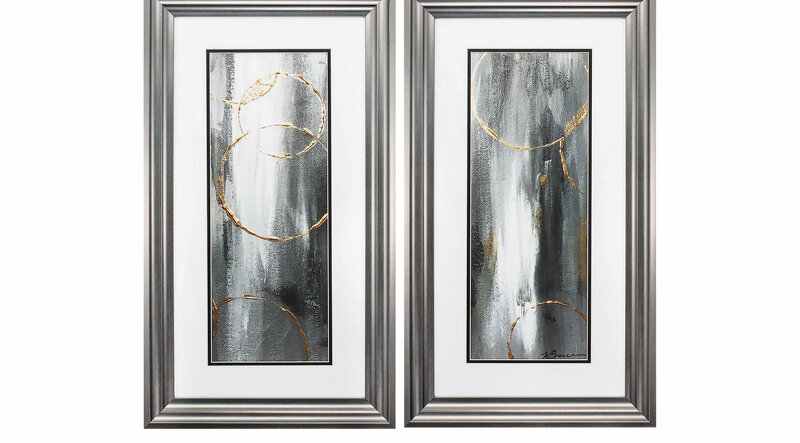 This set is double matted and framed under glass with a complementing silver molding. This set comes ready to hang and is hand assembled in the USA!